Travellers have long been attracted to the pleasures of Grasse. Queen Victoria herself returned for several winters to sojourn in a luxury vacation home in this medieval town. While there are many things to do and see in the area, it is the clean crisp air scented with flowers that seduces those who visit. The altitude and the looming hills behind the town create the freshness in the atmosphere - a contrast to the beach towns of Provence, which often swelter in the Summer. Grasse began making Perfume way back in the 16th century as almost an afterthought. Making perfume was simply a side-project to a solid industry in manufacturing gloves - when perfumed gloves were briefly in fashion, Grasse decided to manufacture their own perfume. Yet today the gloves have been all but discarded, with the Perfume industry having been gradually built up to become a dominating figure in the Perfume World. Today, Grasse produces around two-thirds of France's perfumes. Part of the reason that Grasse has been so successful is because the particular climate of the region is perfect for nurturing delicate flowers which struggle in other regions. There are three historic perfume manufacturers in Grasse which provide free guided tours. You will learn about perfume and how it is made and later will have the opportunity (without obligation) to browse and buy their products. 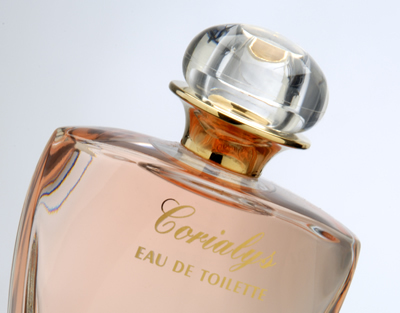 - A perfume contains between 10 to more than 250 ingredients. - A scent that smells good on one person will not necessarily smell good on another. This is because the interaction between the fragrance and the body may produce a different scent perception in different people due to their body hormonal balance. - Some researches have shown that people without a sense of smell lead a less happy life than people who can smell. There are different types of fragrances that trigger emotions and affect the mood of people who smell it. Musée d'Art et d'Histoire de Provence - Located in an 18th-century mansion, this museum features archeology and ethnology as well as Provencal painting, pottery and history. Notre Dame du Puy cathedral - Dating from the 11th Century, (rebuilt in the 17th c.) this cathedral boasts a huge 18th century clock tower and an art collection featuring Rubens. Festivals - The Fête du Jasmin or La Jasminade has been celebrated every year at the beginning of August since 1946. These days, it is a big event; decorated floats drive through the town, with young women throwing flowers onto the crowds which line the streets -- everyone gets soaked by the natural perfume of the flowers. There are also fireworks, free parties, folk music groups and street performers. Also popular is the annual 5-day international exhibition of roses ("Expo Rose"), which occurs in May. For those feeling adventurous, this is a fantastic area for caving. If you are a member of a 'spelunking' organisation, there are many caves available to explore. However even those who are inexperienced in caving can get involved. Cavers can descend into the Trou du Curé (60 metres underground) or explore the cave at the Saint Sauveur waterfall. For those who don't fancy journeying underground, there are also many hiking trails in the area. As you can see, a holiday in a beautiful villa in the Grasse region allows you to experience a large variety of acitivites, a unique culture and history - all within a picturesque setting. We have a selection of gorgeous luxury villas nearby to Grasse. We are expanding our villa rental program in this region all the time, always looking out with a sharp eye for the best quality villas in Cote d'Azur. Thanks for reading, and we hope that you have learnt something about this wonderful region in France - whether solely for interest or whether you are researching a holiday in the South of France. Don't hesitate to contact us if you have any questions.